So pleased to hear from Ali and Simon. I had a great day photographing their wedding at The Old Church and it’s great to know they love my style. Weddings are energetic, vibrant and colourful events and so I match this with energetic, vibrant and colourful photos. But you won’t spot me energetically running around, making lots of vibrations in a colourful shirt; I’m unobtrusive, non-intrusive and I wear black! 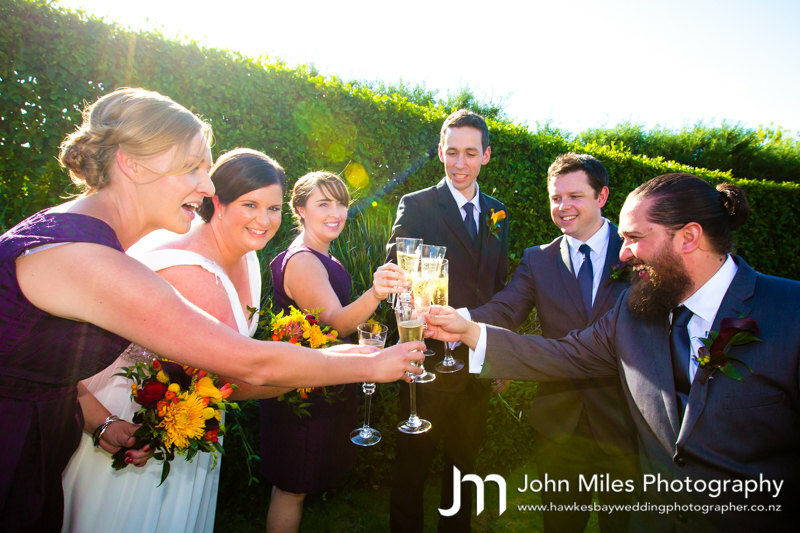 Thanks again Ali and Simon for your kind words and investing in my for your wedding memories. We chose you to be our wedding photographer because we were immediately stunned by the colour and vibrancy of your photos that you have on your website. We knew we were going to have some bright colours at our wedding and needed a photographer to do them justice – and you did! From the early planning, you were easy to deal with, took on board the suggestions we had and also explained the way you would operate on the day. You were very professional, blended into the background and took some amazing photos. And the website is just great, so easy to send around to people and nice to be able to sneak a peek at the photos on a dreary work day too! The mobile app is also wonderful, a great service. Thank you very much, you are highly recommended to any couple getting married in the Hawkes Bay.